Ski resorts provide the perfect backdrop for a family vacation. Before you bundle up and head outside, make sure to find one that provides options for the whole family on and off the ski hill. 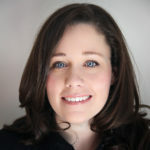 As a Solo Traveling Mom, I look for good ski schools and a daycare so I can hit the slopes as well as great family activities both my kids and I can partake in together off the slopes. Here’s a look at the variety of activities families of any size can enjoy together at one of my favorite resorts, Tremblant in Mont Tremblant, Quebec, Canada. 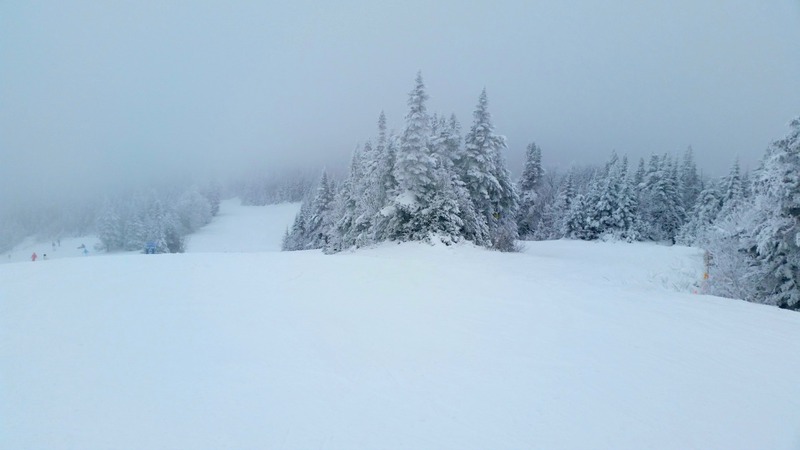 Located only an hour and a half drive from downtown Montreal and three hours from the Vermont border, Mont Tremblant is a skier’s paradise. With 4 distinct slope sides and plenty of après-ski lounges and restaurants, families flock to the resort for winter fun. Beyond, skiing there are plenty of other opportunities to get out and enjoy the snow. Here’s a guide to the best Mont Tremblant winter activities for families. Many of Tremblant’s annual visitors are families and there’s no mistaking why families flock to the resort. It is the perfect location for kids to learn to ski in a fun and welcoming atmosphere. 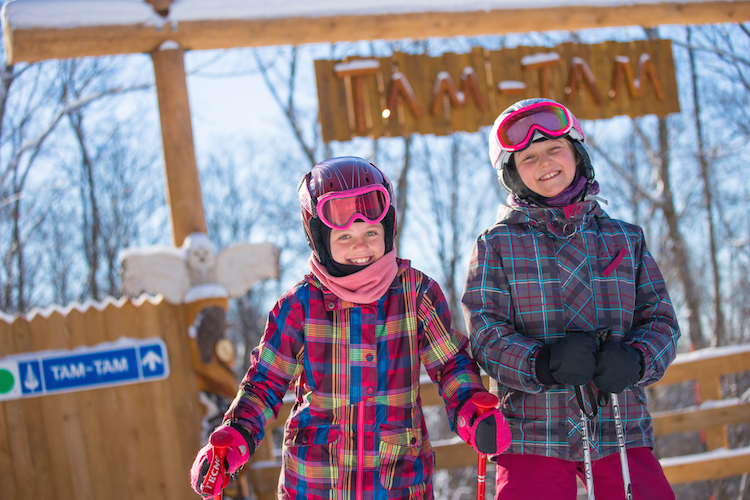 The TAM-TAM Trail for kids is a big part of learning to ski at Mont Tremblant. The TAM-TAM Trail is a a trail on the South Side of the hill where kids learn about safety. 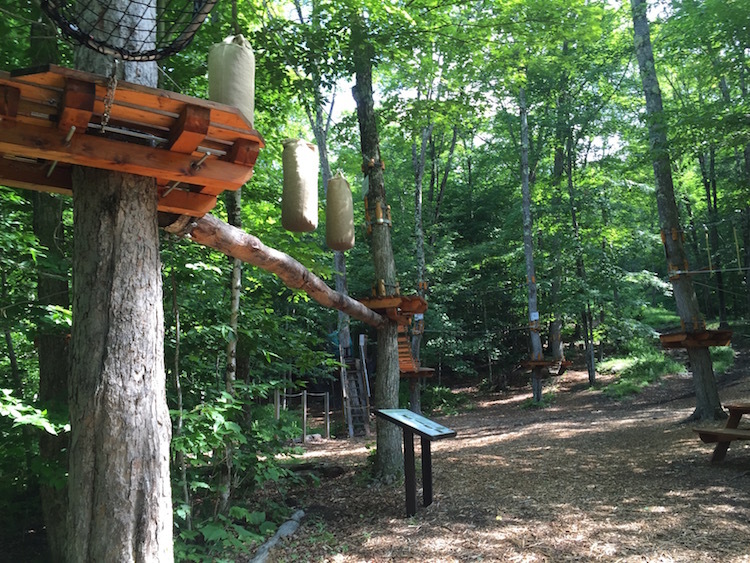 There are games and obstacles along the trail as well as sculptures of animals that live in the forests surrounding Tremblant. The eight animals give tips and a safety rule for young kids to learn. Once they finish the trail, there is a fun tree house kids can play in. For bigger kids and families, Tremblant also features three different snowparks. The Evolution park has been designed specifically for families and is a great place to introduce young skiers and snowboarders to freestyle. Since older and more experience kids have access to bigger parks, this leaves plenty of space for families to approach the art of freestyle at their own pace and without worry. One of our family’s favourite Mont Tremblant winter activities is ice skating. The rink is great for families with music, lighting and a warm fire nearby to keep you going all night. If you are staying at any of the hotels located in the Tremblant resort you also can borrow skates for free. For families with young kids or novice skaters, its comforting to know that hockey is not permitted on the rink making it a great place for a family skate. The Aqua Club, which is essentially a big pool, is my kids’ favorite place at Tremblant. 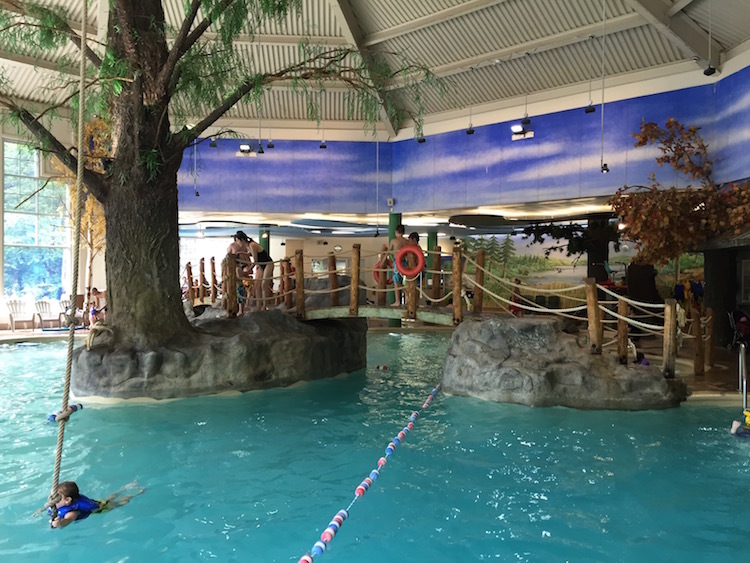 There is an indoor water play section for babies and toddlers as well as a sizeable hot tub outdoors. The main pool features a rope swing and some rocks families can jump off. There are some smaller waterslides built into the edges of the pool. As a solo traveling mom, I particularly appreciate the family style change rooms in this facility. Both kids are able to get changed and ready with me instead of my 7 year old son having to get changed on his own in another room. Before I get too far into telling you about fat biking at Tremblant, let’s be clear, fat biking isn’t easy. Essentially, a fat bike is a normal bike with extra large tires to get through snow. It can be tricky to maneuver on ice so make sure you really have a handle on it before speeding up on the trails. At Trembant, there are now 30 Kilometres or 18 Miles of fat bike trails adding a new dimension to the Mont Tremblant winter activities. They are located in a similar area to the cross country skiing trails. The great thing about fat biking besides the incredible work out is that while the trails have some smaller hills, there are no steep descents down mountains. It’s also the perfect way to get close to the winter wildlife. There are few combos more perfect than snowshoeing and eating fondue. Head out into winter and experience snowshoeing for yourself and then sit down to a delicious meal of sausages, Gruyère Cheese fondue, baguettes and more. This experience is made even more complete by the fact that you eat your meal by a wood fireplace in a log cabin in a forest. Don’t worry, you won’t be snowshoeing for too long. The tour is only 5 Kilometres or 3 Miles. The only drawback is kids have to be 13 to join the tour but it would make a great night out with teens. For an authentic Canadian winter experience with younger kids, head minutes down the road to Lake Tremblant where you can partake in ice fishing. Tremblant keeps its tree to tree adventures courses open year long and your kids are going to love them. For kids under 12, there is an awesome course filled with nets, zip lines and challenging but fun obstacles. The cost is only $25.33 Canadian and your kids can tackle the course as many times as they want in a 2 hour period. The real challenge will be getting your kids to leave. 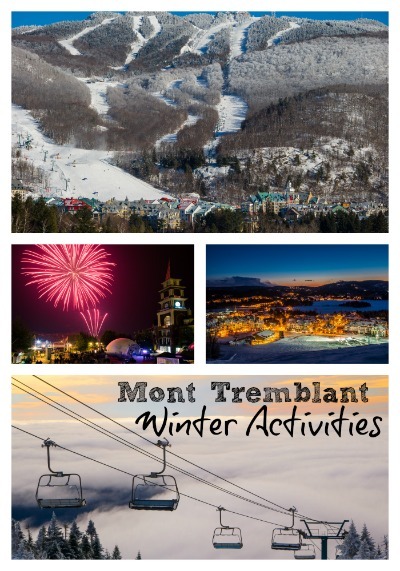 These are only a sample of the activities you can partake in at Tremblant this winter. Other options include horseback riding, sliding parties and even ice climbing. The only question is which your activity your family will tackle first.